Still the most useful graphic I've ever made. But, we'll cross that bridge if we're lucky enough to come to it. 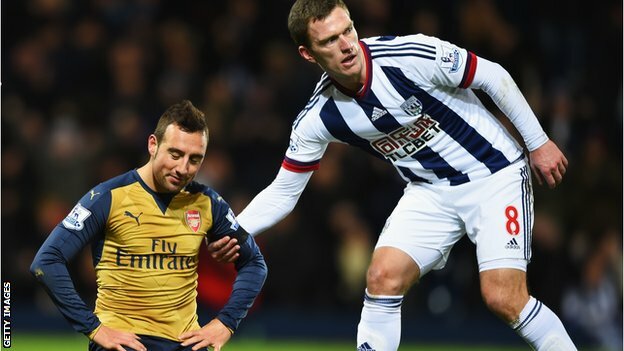 Arsenal limp into this fixture having lost at the Hawthorns for the first time since 2005. Since winning four in a row at the end of October, the Gunners have now won once in their last five across all competitions. They're out of the League Cup, they've tumbled back to fourth in the Premier League table, and they are fighting for the lives in the Champions League. And their injury problems aren't getting any better. The Gunners are staring down the barrel of... well, a cannon, I suppose. But it only takes one win to start a winning streak. With the word that Francis Coquelin will be out at least nine years... I mean, two months, with a knee injury, the Arsenal Internet-o-sphere went from its usual level of generic panic to full on lunacy mode yesterday, so I largely avoided reading anything that wasn't explicitly news. This is exacerbated by the fact that Coquelin's replacement on Saturday, Mikel Arteta, is also out in the "short-term" with a calf injury. Considering Arteta continually gets hurt when he gets a run out, the use of the phrase "short-term" feels merely nominal. It would appear that Mathieu Flamini will deputize in the position for the time being, while Calum Chambers will provide cover. 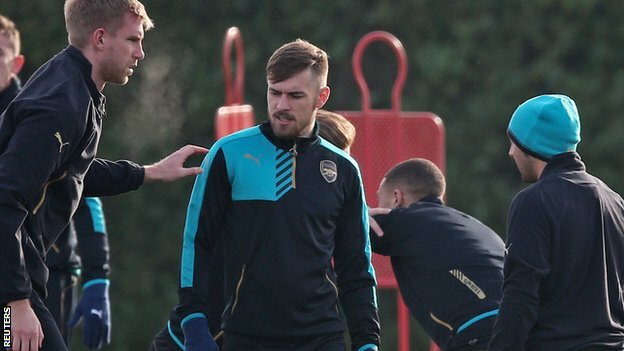 On the plus side, Aaron Ramsey is available again; he has not played since picking up a hamstring injury in the win over Bayern Munich. I've listed him as a "doubt" above as he is on his way back from injury. It looks like he'll have to start, though, since Arsenal currently lack available players in numerous critical midfield positions. Alex Oxlade-Chamberlain should be available this weekend against Norwich, while Theo Walcott will be the next player back after that. All that said, those are the only two changes I could see being made to the XI: Flamini coming in for the injured Coquelin/Arteta and Aaron Ramsey returning to the wings, which would mean Kieran Gibbs drops back to the bench. 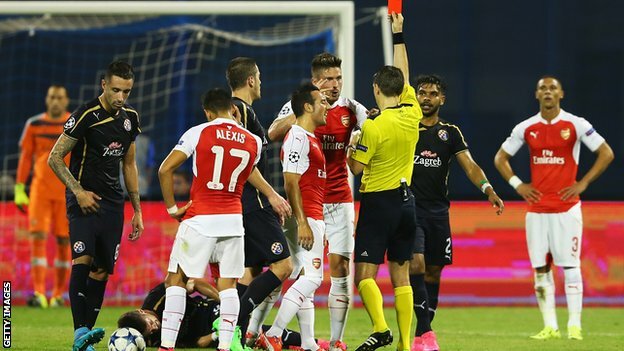 Elsewhere in the side, defender Josip Pivaric will serve a ban after being sent off from Zagreb's matchday four loss to Olympiacos. The Ademi suspension has brought about a tactical change in Dinamo Zagreb's Champions League formations; after playing a 4-3-3 against Arsenal and Bayern Munich, they trotted out a 4-2-3-1 formation in both matches against Olympiacos. It's hard to tell whether the formation change came from Ademi's lack of availability or from the differing opposition. Predicted XI: Eduardo, Matel, Taravel, Sigali, Musa, Antolic, Rog, Pjaca, Machado, Fernandes, Hodzic. Arsenal's form has tanked since their 2-1 win over Everton had extended a winning streak to four matches back on October 24. After that, Arsenal went up to Sheffield for a fourth round League Cup tie against Sheffield Wednesday, lost two right wingers to injury, and lost the match 3-0. Blip on the radar, perhaps? After a sluggish first half, Arsenal ran riot over Swansea in the second half the following weekend and all seemed right with the world again. Then, the trip to Munich and a 5-1 loss in Europe led into a North London derby in which the Gunners were lucky to steal a point at home. Arsenal had certainly stumbled over some tough hurdles, but they had not fallen. But now, after a 2-1 loss at West Bromwich Albion claimed two more injured players, it's hard not to be concerned about Arsenal's overall form. It would be frightening, indeed, if Arsenal had these results with a fully fit squad; since their squad has been held together with duct tape over the last three weeks, its hard to objectively judge this form at all. As for Dinamo Zagreb, their win over Arsenal on matchday one was number 42 in an unbeaten streak that would reach 45 across all competitions. Of course, then they had to play at Bayern Munich, where they lost 5-0. In Europe, they have also now lost both fixtures to Olympiacos. Oddly enough, they've started dropping results domestically in the games that have followed the broken unbeaten run. In six league games since their loss at Bayern, Dinamo Zagreb have won three, lost two, and drawn one. That leaves them now in second place in Croatia, two points behind Rijeka. this time. Thanks in advance. Going back to my preview for the reverse fixture, I wrote, "It's a game Arsenal should win, but we all know how those turn out sometimes..."
I hate it when I'm right like that. Arsenal were shocked by a 2-1 defeat in Croatia on matchday one; the tide of the match turned on an unfortunate bounce and an Alex Oxlade-Chamberlain own goal on 24 minutes. Just before halftime, Olivier Giroud was sent off for a second bookable offense, forcing Arsenal to search for their equalizer using only ten men. Junior Fernandes doubled the hosts' lead just before the hour mark, making Arsenal's comeback next to impossible. Theo Walcott pulled a goal back 11 minutes from time, but the Gunners could not find an equalizer, setting off this disastrous-to-date Champions League campaign off on the wrong foot. The only previous meetings between the clubs came in the final qualifying round before the 2006 group stage; Arsenal won that tie 5-1 on aggregate, winning both matches. 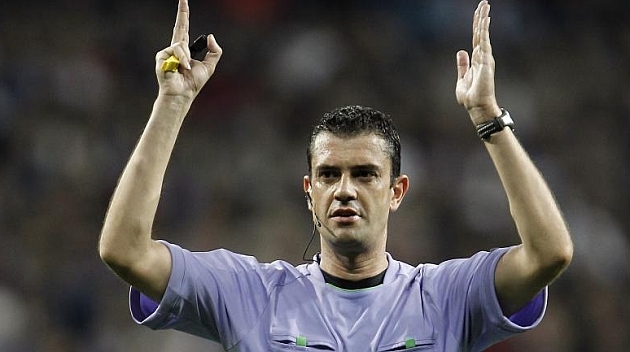 The match officials are from Hungary; the referee is Viktor Kassai. By and large, Arsenal have a poor record with Kassai, losing three and winning one, but the one win was their most recent match involving the Hungarian official. That was last year's group matchday five win over Borussia Dortmund, 2-0. As for the terrible rest of that list of matches with Kassai, Arsenal lost 2-0 at Braga on matchday five in 2010, then 4-0 at AC Milan in the round of 16 in 2012, then 2-0 at Napoli on matchday six in 2013. Most of those matches included terrible calls going against the Gunners, including Mikel Arteta's controversial sending off from the match in Naples. This will be Kassai's first match for Dinamo Zagreb. The only other Champions League match Kassai has worked involving a Croatian side was a second qualifying round match in 2004, where Hajduk Split beat Irish side Shelbourne, 3-2. John Painting is a contributing writer to the Modern Gooner and sans-serif typeface. You can follow him on Twitter @zorrocat to voice your demand for more serifs. Hector Bellerin returns from the groin injury that kept him out against Bayern Munich and Tottenham Hotspur; however, he is the only Arsenal player likely to return from the club's lengthy injury list for this match. Arsene Wenger confirmed yesterday that it is likely still too soon for Alex Oxlade-Chamberlain and Aaron Ramsey to return. Theo Walcott is not expected back until December, while the three long-term injured (Danny Welbeck, Jack Wilshere, and Tomas Rosicky) are all still, presumably, on schedule. There were rumors of a calf injury for Alexis Sanchez, so of course, he played anyway against Uruguay on Tuesday. 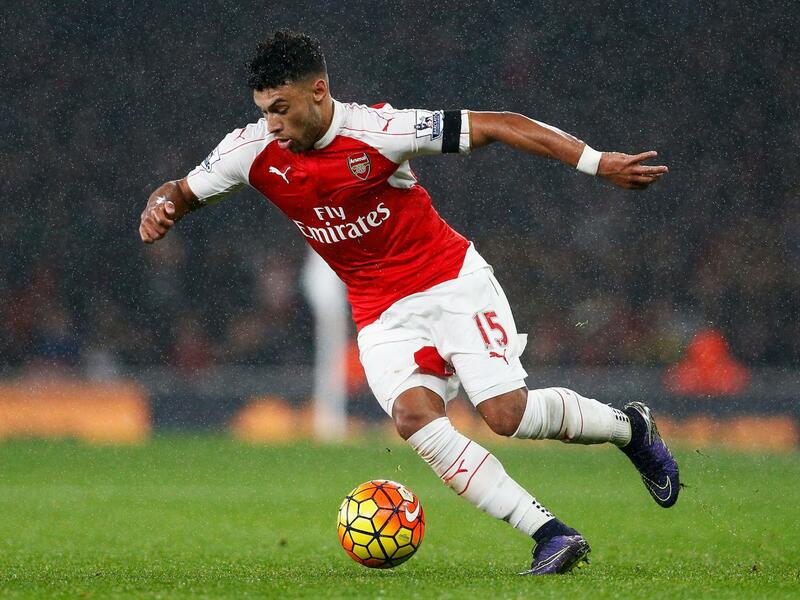 The man needs a rest, let's face it, so perhaps derby goal scorer Kieran Gibbs will slip in on the left wing? Then again, starting a match with Joel Campbell and Kieran Gibbs as your attacking wingers can't fill you with much confidence, can it? I predict the Chilean will start. Predicted XI: Cech, Bellerin, Mertesacker, Gabriel, Monreal, Coquelin, Cazorla, Alexis, Campbell, Ozil, Giroud. Linchpin center back Gareth McAuley was sent off in injury time of West Brom's 2-0 loss at Manchester United as he brought down Anthony Martial on an obvious goal scoring opportunity. McAuley's one match ban will force Tony Pulis to reshuffle his back line, with either Jonas Olsson or James Chester coming in to form a partnership with ex-United player Jonny Evans. Goalkeeper Ben Foster remains sidelined as he recovers from ACL surgery; he has not played since March. Boaz Myhill has deputized all season. Elsewhere, Chris Brunt is a doubt with a groin strain, while Serge Gnabry is ineligible to play against his parent club. Predicted XI: Myhill, Dawson, Olsson, Evans, Brunt, Morrison, Yacob, Fletcher, McClean, Rondon, Berahino. Arsenal wasted their opportunity to go top of the league with their 1-1 draw against Tottenham before the international break; they remain second on goal difference behind Manchester City. On the other hand, since Arsenal were outplayed for large swaths of the match, it still feels to me like one point gained rather than two points dropped. Unfortunately, Arsenal have now only won one of their last four across all competitions, dating back to the League Cup loss to Sheffield Wednesday; this run followed a four match winning streak, which had been their longest of the season. Still, they are unbeaten in the league since falling to Chelsea, and their favorable league schedule over the next few weeks (West Brom, Norwich, Sunderland, and Aston Villa) should leave them in a decent position before they host Manchester City on Monday, December 21. Meanwhile, if you looked up the phrase "mid-table" in the dictionary, you might find a picture of West Bromwich Albion this season. Their results have basically gone exactly as you would expect. They've beaten the likes of Aston Villa, Sunderland, and Norwich, as well as beating Stoke City at the Britannia in the Tony Pulis derby. They have earned scoreless draws against Watford and Southampton. They have lost to Manchester City, Chelsea, Everton, Crystal Palace, Leicester City, and Manchester United. 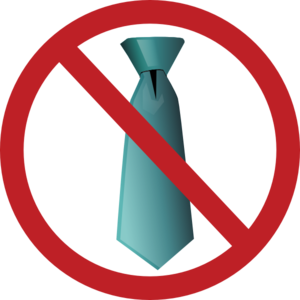 They were eliminated from the League Cup by Norwich. There's not really a single surprise in there, unless you include losing to Chelsea as a surprise this season. 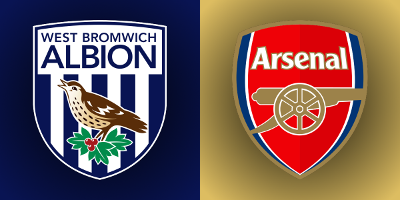 Arsenal won both matches against West Bromwich Albion last season, winning 1-0 at the Hawthorns and 4-1 at the Emirates. In West Bromwich late last November, Arsenal escaped with a 1-0 victory to snap a two-match losing streak in league play; Danny Welbeck (remember him?) had the game's only goal on the hour mark. Arsenal controlled most of the proceedings, but Saido Berahino rattled the woodwork with 10 minutes to play just to make everything nervous enough. At the time, Emiliano Martinez earned his second clean sheet in four days, having beaten Borussia Dortmund 2-0 in the Champions League earlier in the week. In London on the final matchday of the Premier League season last year, Theo Walcott nabbed a first half hat trick and Jack Wilshere scored a wondergoal as Arsenal jumped out to a 4-0 halftime lead. Gareth McAuley scored a consolation goal for the visitors on 57 minutes just to make everyone think "they couldn't possibly blow this, right?" Arsenal have won seven of their last eight league meetings against West Brom and are unbeaten in their last nine league games against the Baggies. That dates back to the 2010/11 season, when West Brom took four of a possible six points from Arsenal; you can thank Manuel Almunia for that. The referee is County Durham-based Mark Clattenburg. This will be the first time Arsenal have seen Clattenburg this season; the Gunners had a record of one win and one draw with Clattenburg in the middle last year, winning at Crystal Palace and drawing with Manchester City at the Emirates. Arsenal are unbeaten in their last seven matches with Clattenburg as the referee, dating back to a 2-1 loss to Tottenham on March 3, 2013. The Baggies have already seen Clattenburg once so far this season, for their possibly surprising 3-2 loss to Chelsea in August. Up 3-1, Chelsea saw John Terry sent off on 54 minutes. James Morrison pulled a goal back five minutes later to pick up a brace, but the Baggies could not find an equalizer over the remaining half hour. West Brom's only win with Clattenburg last season (over a total of three matches) came 2-1 in the FA Cup over Birmingham City, in what has been voted the least hostile of the West Midlands derbies. Incidentally, Mark Clattenburg was supposed to take charge of the meeting between these teams at the end of last season, but was replaced by Robert Madley after suffering a slight injury. John Painting is a contributing writer to the Modern Gooner. You can follow him on Twitter @zorrocat. Well, we have it all to do in Europe now, but you know that already. The math isn't too difficult: Arsenal needs to beat Zagreb and Bayern needs to be Olympiacos on matchday five. Then, on matchday six, Arsenal needs to beat Olympiacos better than they themselves were beaten by the Greeks back in London (so, by two clear goals, or by scoring four or more.) The good news is that doesn't sound impossible. Of course, if Bayern and Olympiacos draw, they both go through, but I personally feel like Bayern isn't the kind of team that will turn that switch off. When you play for a draw, you tend to lose. There are a million cliches I could type right here to talk about the derby ("Form goes out the window!" 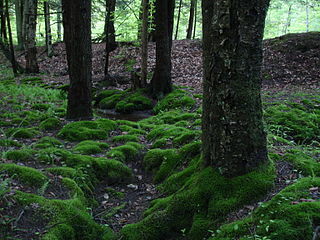 is one of my favorites,) but I don't have much more to say. Arsenal need to dig deep and get a win and then they need to get healthy again. At least we'll have an international break to help catch our collective breath. 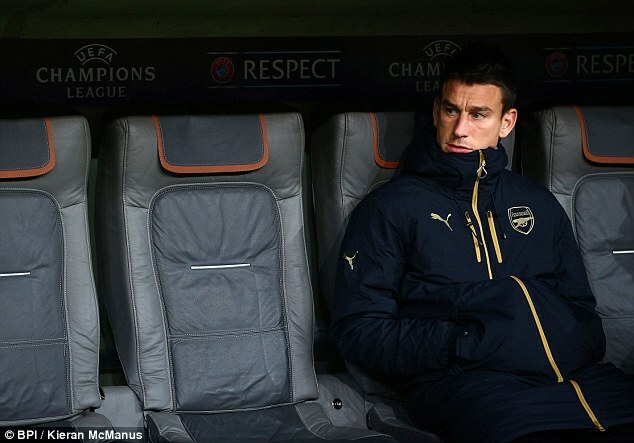 Laurent Koscielny appears to have borrowed Wenger's coat. Okay, where was I? Ah, yes, I've been writing for this blog for a long time and, despite all of Arsenal's comical injury history, I can't remember it ever being this bad at so many different positions. Usually, it's just all of the fullbacks, or something. There's some good news, though: Laurent Koscielny is expected to be fit to play. The same goes for Mikel Arteta. David Ospina is back in full training, though that hopefully won't matter here, and he's probably still short of full fitness. Tomas Rosicky (!) has been given the green light to return to training as well, after undergoing knee surgery in August. Aaron Ramsey, Hector Bellerin, and Alex Oxlade-Chamberlain should be back on the other side of the international break. Unfortunately, it'll be December for Theo Walcott's return (damn it, Theo!) 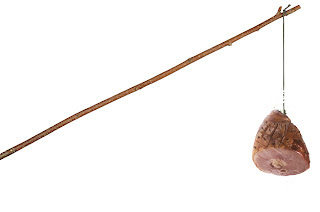 Jack Wilshere and Danny Welbeck should be back in the spring of 2637. Predicted XI: Cech, Debuchy, Mertesacker, Koscielny, Monreal, Coquelin, Cazorla, Campbell, Alexis, Ozil, Giroud. Spurs this year, plus two caps for England. Mauricio Pochettino named a strong side against Anderlecht in the Europa League last night, making only three changes from the side that beat Aston Villa on Monday night. 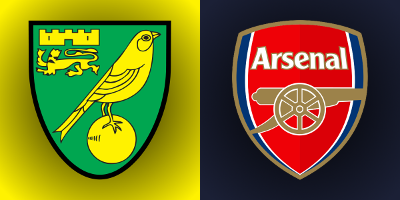 Of course, Arsenal have not been able to rotate themselves due to their injuries, so both sides might be dealing with some weary legs on Sunday. Danny Rose left Monday night's match on 82 minutes with a knock and was not risked on Thursday; he remains questionable. Nabil Bentaleb is a doubt with an ankle injury, while Clinton N'Jie is a doubt with a hamstring problem. Nacer Chadli, who scored in this fixture last year, is out until December with an ankle injury, while ankle surgery will keep Alex Pritchard out until February. Andros Townsend was not in the squad last night for disciplinary reasons, after he was seen pushing and arguing with a fitness coach on Monday. Ryan Mason started on Thursday, making his second appearance since suffering an injury while scoring the winner against Sunderland back in September. Heung-min Son returned from a foot injury as well, though from the bench. Predicted XI: Lloris, Walker, Alderweireld, Vertonghen, Davies, Dier, Mason, Lamela, Alli, Eriksen, Kane. last night, after they lost in Belgium on matchday three. Midweek form aside (and Arsenal have now, in fact, been outscored 8-1 in that atrocious black cup kit over the last two weeks,) the Gunners' league form remains tops in the division. Five wins from five means that Arsenal have picked up more points (15) over their last six matches (which is the generally agreed term for the form guide for reasons I've never understood) than any other club. A win would extend their winning streak to six, still their longest since an eight match run last spring. However, Tottenham Hotspur are second in the league's form table, with 14 points over their last six matches. Spurs have not lost in the league since opening day at Old Trafford, winning five and drawing five. Over the past month or so, their results have been impressive: they eviscerated Manchester City 4-1 while they've also comfortably beaten the teams they are supposed to beat, like Bournemouth and Aston Villa. Arsenal have already beaten Tottenham once this season, in the third round of the League Cup at White Hart Lane in September. The Flammening was upon us that night, as Mathieu Flamini scored twice to see the Gunners through (only for them to get bludgeoned by Sheffield Wednesday in the fourth round.) A Calum Chambers own goal had Spurs level for about 22 minutes in the second half. This match last season ended drawn, 1-1, as Alex Oxlade-Chamberlain canceled out Nacer Chadli's opener. That snapped Arsenal's three-match league winning streak against Spurs at the Emirates. 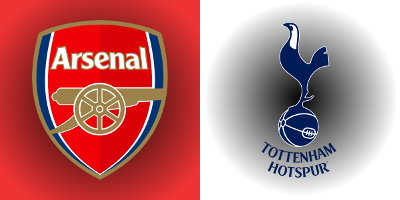 Spurs' last win at the Emirates came in November of 2010, when Arsenal blew a 2-0 halftime lead to lose 3-2. At Highbury/the Emirates in the Premier League era, Arsenal have a record of 13 wins, two losses, and eight draws against Tottenham. Martin Atkinson is incensed as he books himself. 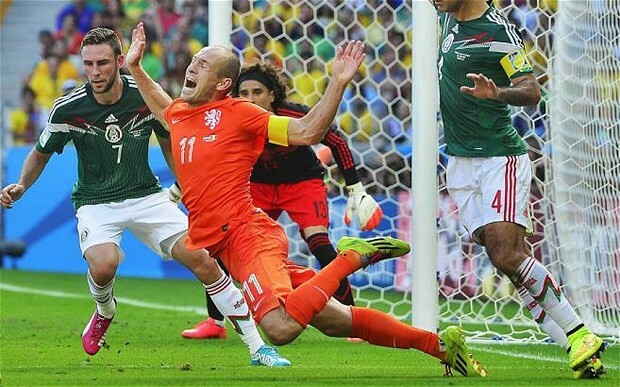 The referee is West Yorkshire-based Martin Atkinson, so you might as well mark this down as a loss right now. Arsenal's recent record with Atkinson is worse than their record with any other referee in the Select Group, including Mike Dean. As of the end of last season, Arsenal had lost four of their last six with Atkinson in the middle, winning only against QPR (in which Olivier Giroud was, correctly, sent off) and Reading in the FA Cup Semi-Final (which required extra time, so over 90 minutes, it was a draw.) Last season, Atkinson took charge of Arsenal's losses at Stamford Bridge and White Hart Lane. Arsenal have already seen Atkinson once this season and that was a loss too, on opening day against West Ham. Tottenham have only seen Atkinson once as well, for their come-from-ahead 1-1 draw at Leicester City in August. Atkinson has shown more yellow cards (70) than any other Select Group referee this season, but he's the only one who has yet to send anyone off. John Painting is a contributing writer to the Modern Gooner and a rechargeable battery. You can follow him on Twitter @zorrocat, but he must be plugged in again soon. This isn't a "must-win" game for Arsenal, thanks to their result in the reverse fixture, but a loss could certainly be very damaging. Should Bayern and Olympiacos both win tonight, Arsenal would find themselves six points out of second place with only six points remaining on the table; in effect, they could only take second on a tiebreaker. In this scenario, Bayern and Olympiacos would face each other on matchday five knowing both would go through with a draw, which is... far from ideal... Even if Bayern does us a favor and beats Olympiacos, Arsenal would have to go to Greece and win by two clear goals to guarantee the tiebreaker. So, yeah, a draw tonight would be really helpful, but a really big ask as well. With the squad's depth running thin through injuries and the North London derby looming on Sunday, Arsenal are going to have to dig deep and grind out some results. A much needed international break follows, so let's get two results and then recuperate a bit! Arsene Wenger stated that right back Hector Bellerin has a "small problem" (read: disaster) with his groin and will not be risked. That will force out-of-form Mathieu Debuchy isn't duty; I suspect he's going to have a similar kind of season as Nacho Monreal had two years ago: lack of regular playing time resulting in a lack of quality. Outside of that, with two games left until the international break over a five day span, Arsene Wenger is going to have to juggle his squad carefully to get through to the break. Will there be any further rotation in the squad? Is there room to even make a move like that? Could Arsenal really make any other changes to the XI that beat Swansea without risking too much quality? I really don't think they can. Predicted XI: Cech, Debuchy, Mertesacker, Koscielny, Monreal, Coquelin, Cazorla, Alexis, Campbell, Ozil, Giroud. This guy could be back. As compared to the injury news from the reverse fixture, Mario Gotze, Franck Ribery, and Sebastian Rode remain out with their respective ailments. 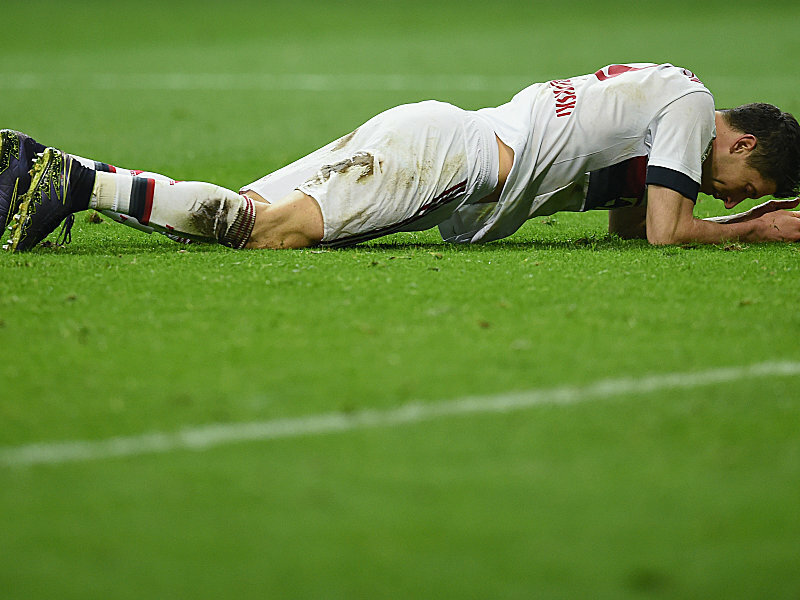 Holger Badstuber remains a doubt, out since April with a thigh injury. Jan Kirchhoff has not played since June, though he has been an unused substitute in Bayern's last five matches. Medhi Benatia, one of 37 finalists for African footballer of the year, has not played since August with a thigh injury, but has made the bench for Bayern's last two matches. Juan Bernat is also a doubt as he recovers from a groin injury. Arjen Robben is back; he had been unavailable for the trip to the Emirates, which gives Bayern more attacking bite than they had in the reverse match. However, since Bayern's midfield is so stacked, there's a chance he won't even start. Predicted XI: Neuer, Lahm, Boateng, Martinez, Alaba, Alonso, Vidal, Alcantara, Costa, Muller, Lewandowski. to a 0-0 draw at the weekend. Arsenal responded well to their League Cup collapse last midweek with a stirring second half display against Swansea City, a team that has given Arsenal fits in the past few years. The Gunners have now won five straight in the league and remain behind Manchester City at the top of the table on goal difference alone, closing that gap from six goals to four with their 3-0 win. They'll face an in-form Tottenham side on Sunday (Spurs have not lost in the league since the opening match of the season) and would obviously like to keep their confidence flying high with a result in Germany. Meanwhile, Bayern Munich will be out for a measure of revenge; their matchday three loss at the Emirates was the club's first regulation loss of the season (they had also lost the German Super Cup on penalties.) Bayern responded with a league win over Cologne and a cup win over Wolfsburg, but then drew at 11th place Eintracht Frankfurt at the weekend, their first dropped points in the Bundesliga this season. Their top-of-the-table lead over Borussia Dortmund is now just a paltry five points. 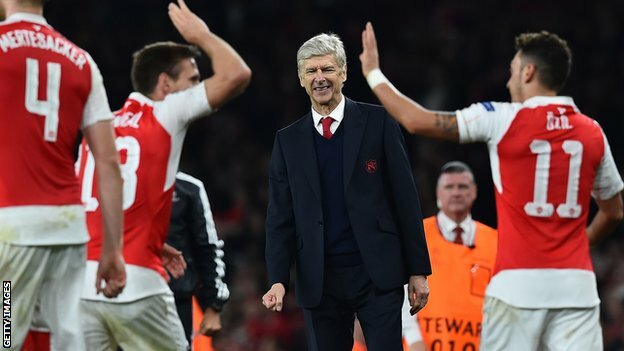 High fives for everyone as Dad Wenger looks on. Arsenal won an incredible reverse fixture, 2-0, on matchday 3 to give them a lifeline in Group F. As you would expect, Bayern controlled possession for 73% of the time, but generated six shots on target to Arsenal's eight. Olivier Giroud capitalized on a rare Manuel Neuer mistake from a set-piece to put the Gunners ahead on 77 minutes, while Mesut Ozil added another after a brilliant interception from the speedy Hector Bellerin just seconds from time. The Gunners have a decent record of getting results at the Allianz, despite the fact that both recent results there have not been enough to overcome the disastrous home first legs of those Round of 16 encounters. In 2013, Olivier Giroud and Laurent Koscielny scored in a 2-0 Arsenal win, though Arsenal went out of the competition 3-3 on away goals, having lost 3-1 at the Emirates. In 2014, Arsenal nabbed a 1-1 draw, with Lukasz Fabianski saving a late penalty. 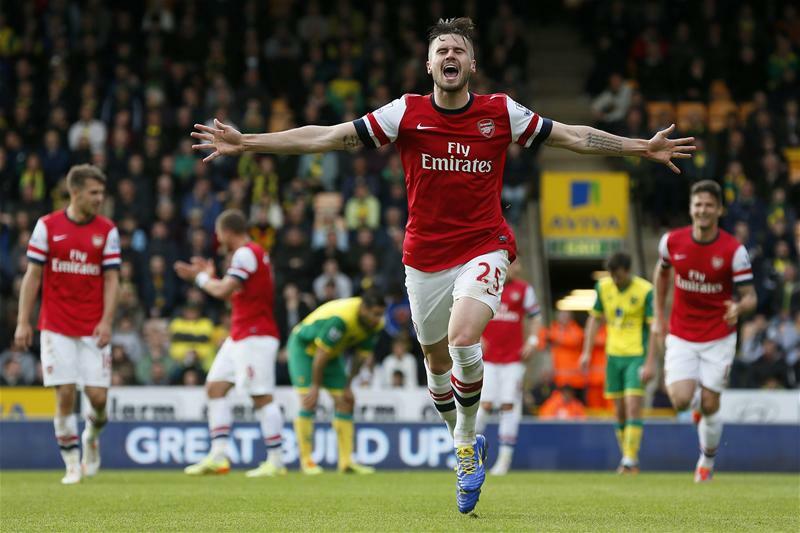 Arsenal, however, had lost the first leg 2-0 that year and went out 3-1 on aggregate. 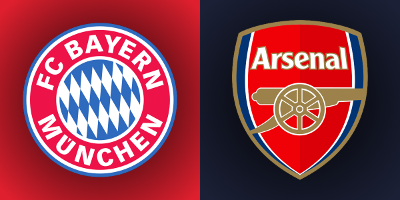 In four previous sets of encounters (three Round of 16 meetings and a second group stage set in 2000/01), Bayern have always beaten Arsenal at least once over the two meetings. Italians are known for hand gestures, right? 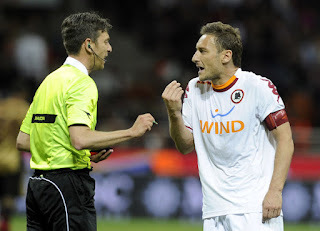 The match officials are from Italy; the referee is Gianluca Rocchi. Arsenal have seen Rocchi three times previously, including once on German soil. That match was the 1-1 draw with Borussia Dortmund, in which the German side equalized late, in the 2011 group stage. Arsenal won both other matches with Rocchi in the middle, both against Turkish opposition: 3-0 at Fenerbahce in the 2013 qualifying playoff and 4-1 over Galatasaray at the Emirates in last year's group stage. Bayern Munich have had Rocchi only once previously, for a 3-0 win over CSKA Moscow in the 2013 group stage. Rocchi has served as a referee at the 2012 Summer Olympics, in which he worked the semi-final between Mexico and Japan, and the 2013 Under-17 World Cup, where he also worked a semi-final that Mexico won. John Painting is a contributing writer to the Modern Gooner and man for all seasons. You can follow him on Twitter @zorrocat in winter, spring, summer, and fall.